The perfect day pack to carry Hexo+. Light and small, simply attach Hexo+ on the exterior of the pack to take it on your next adventure. It will be delivered with a useful rain cover which will protect your Hexo+ from the rain if weather isn’t as nice as you expected it to be. You want to know when Dakine Amp Branded will be available? 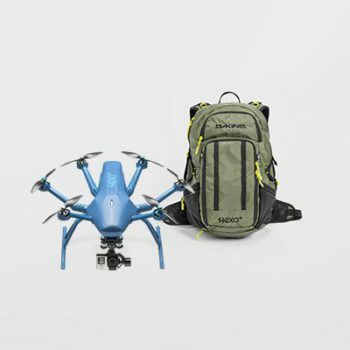 The little mesh at the rear of your backpack enables you to strongly attach your Hexo+ in a second. 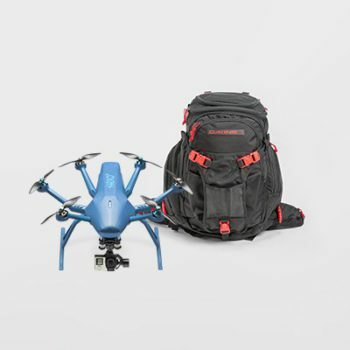 Once you’re on the filming spot, you’ll be able to remove the drone from the backpack very quickly, being way more reactive to capture the action! Strapping you Hexo+ on the backpack means more space for your stuffs inside.The AMP 24L has plenty of storage space for extra layers, snacks, and any other packable item. Internal organizer pockets keep everything in place because no one likes a bag full of shifting cargo. 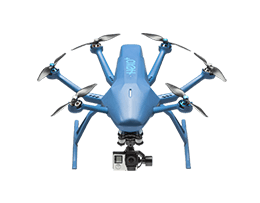 Also very interesting to carry your additional batteries and protect your gimbal. 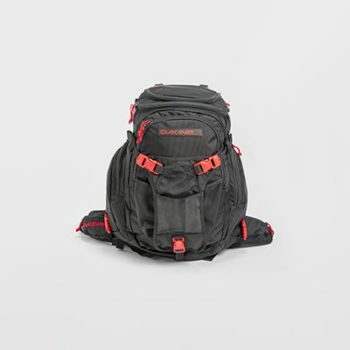 The Air Mesh suspended back panel keeps your back ventilated and ensures long lasting comfort, and an integrated sternum strap locks everything down in front. As a must have for any Hexo+ owner, we’ve decided to add our signature on the backpack with two embroideries, one on the front, one on the back.